"I am reeling in SHOCK! 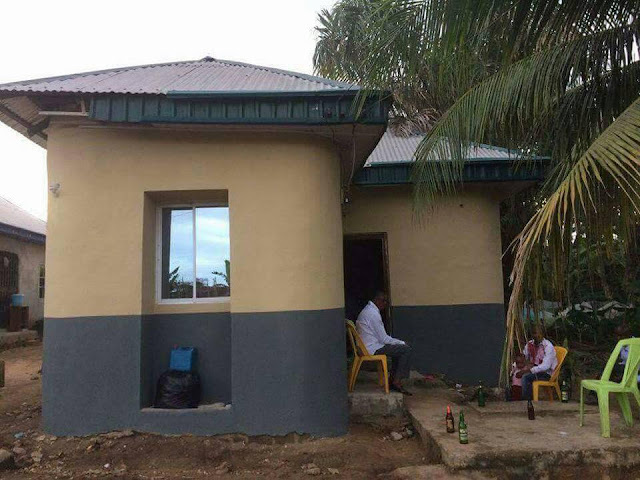 Today, the member representing Itu in the Akwa Ibom State House of Assembly, Prince Idongesit Ituen, inaugurated a brand new house he supported his aide, Unyimeobong Essien to build. Mr Ituen said it is necessary to show gratitude to those who toiled to see him through his electioneering period. 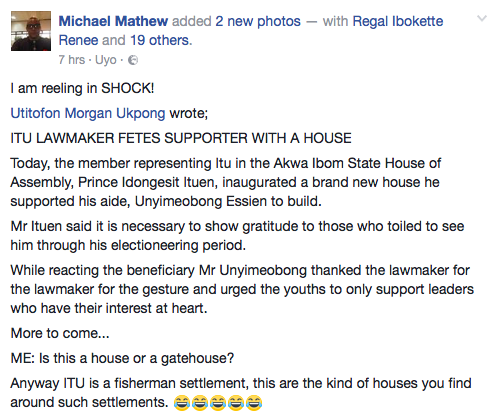 While reacting the beneficiary Mr Unyimeobong thanked the lawmaker for the lawmaker for the gesture and urged the youths to only support leaders who have their interest at heart. ME: Is this a house or a gatehouse? Anyway ITU is a fisherman settlement, this are the kind of houses you find around such settlements. 😂 😂 😂 😂 "